Paracord lanyards for adding that extra something to every day items like keys, zippers, phones, knives, cameras etc. Very useful and allows for a variety of applications. Next > Orange Round Weave Tactical Lanyard. Hand tied lanyards made of high-strength plain colour paracord. 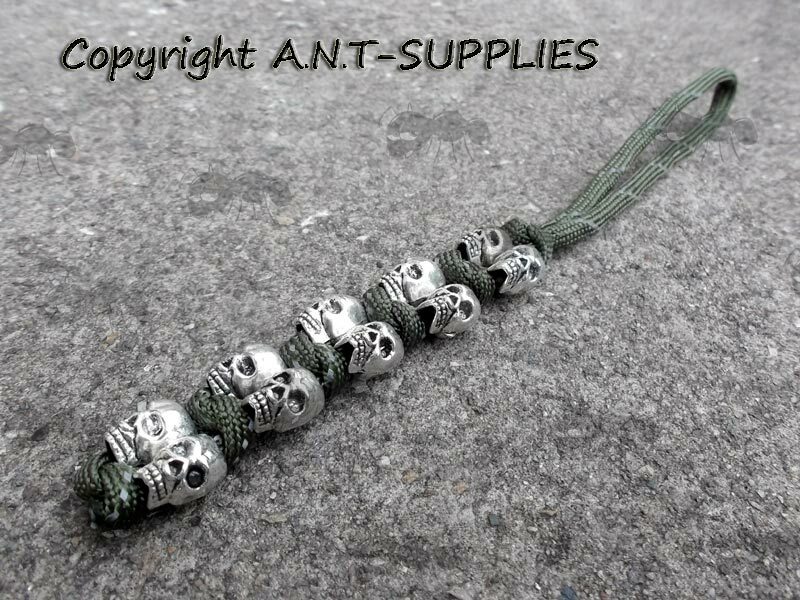 With 10 small metal skull bead charms. Weight ~ approx 29 grams. 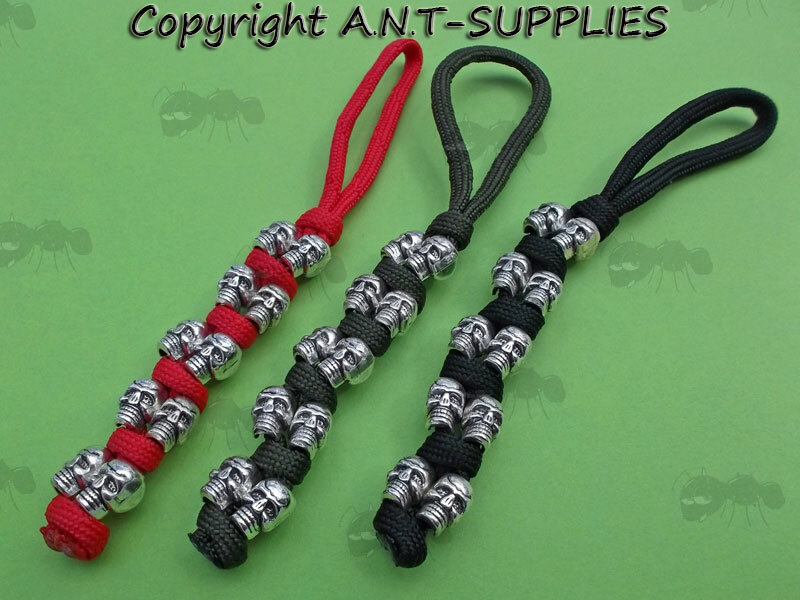 Please note: The green are currently made from reflective paracord, and the red is 140mm long and weighs 19 grams. 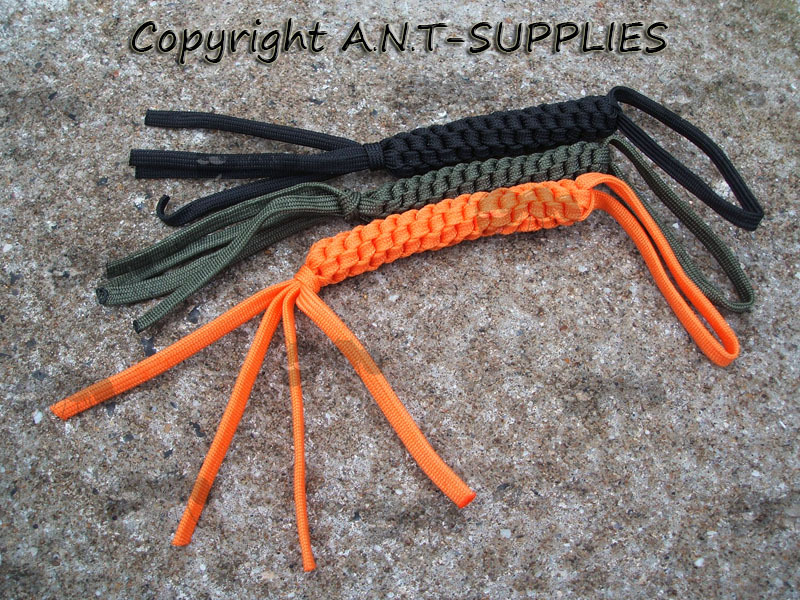 Hand tied lanyards made of hi-vis orange paracord. 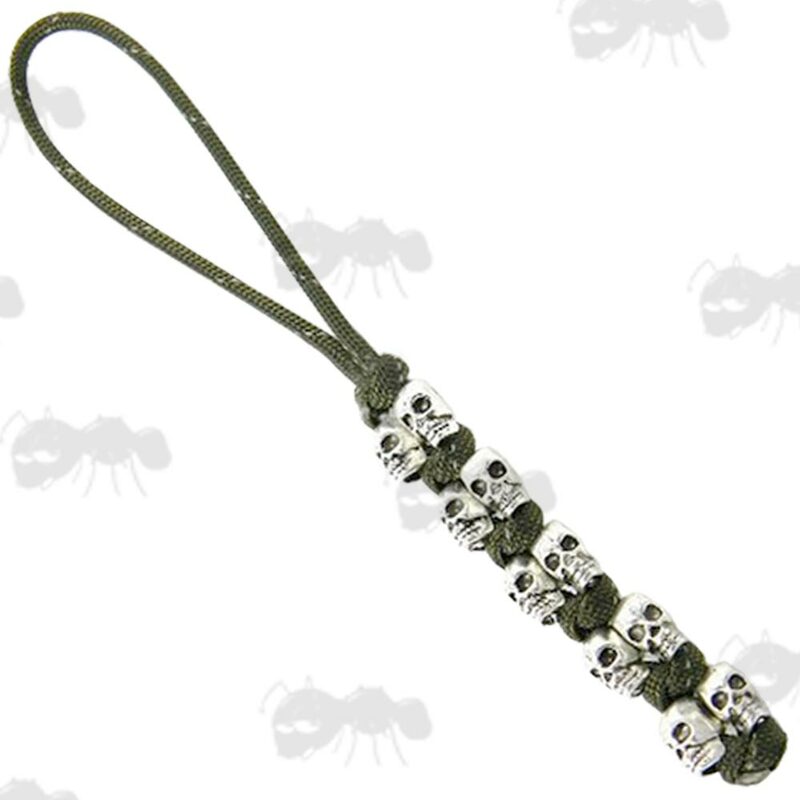 Similar to type IA or IIA paracord as there is no inner core. Weight ~ approx 6 grams.